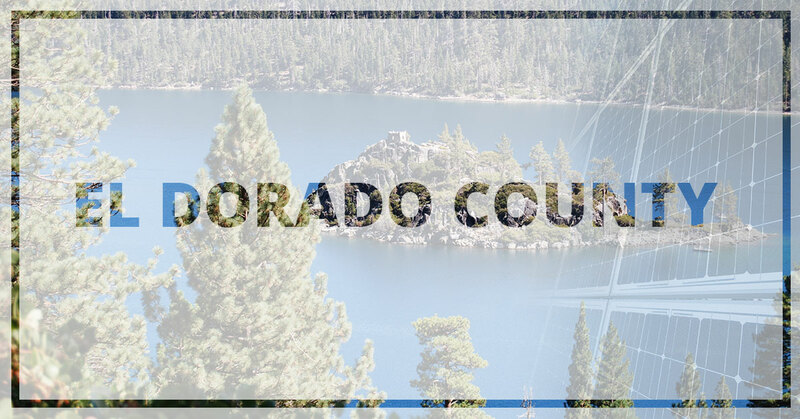 El Dorado County Solar Power - Solar Arrays For Your Home | West Coast Solar, Inc. Saving money, decreasing your dependence on fossil fuels—there are quite a few reasons to switch to solar. If you are considering solar panel installation for your home or business, it’s time to reach out to West Coast Solar. After all, we understand renewable energy and want nothing more than to provide top-quality service to the people of El Dorado County. No one loves paying the bills, especially when it feels like you have no idea how they got so high! Electricity bills are a major expense for all California residents, especially in El Dorado County. Solar array owners find themselves enjoying lower—if not non-existent—power bills, especially as time goes on, and energy is stored for later use. The costs don’t increase, and you save money. Of course, the tax credit is one of the top perks. Did you know that you can write off up to 30 percent of your solar system and installation costs? This is set to last only until 2021, so it’s time to act now! Most property owners feel fulfilled and excited to do their part to help out the environment. You can generate your own clean energy right on your property! With that independence, you can avoid relying on foreign sources of power, including fossil fuel pollution. Solar panels are certainly more energy responsible, but they’re also more financially responsible than they first appear. If you invest in the right kind of battery at first, you’ll be able to store more energy than you use and you can start selling it back to the grid. Instead of getting a bill every month from the utility company, you could start cashing their checks. It’s worth investigating whether the El Dorado utility company has a cap on how much you can sell back to the grid and what the standard rate is for each unit you sell back is. It can help you pay off the initial investment in solar panels off faster. A cleaner world begins right here, in El Dorado County. Did you know that the average household emits up to 20 metric tons of carbon pollution annually? We are ready to change that. If you have a concern for our environment and our planet, this is one the best steps you can take. We look forward to providing your home or business with the means to switch to pure, renewable energy. Contact West Coast Solar today to work with Northern California’s premier solar power team.